We understand the importance of responsibility within our community. We are mindful of our unique position in society and our ability to help the environment and each other. As a firm, it is important that we engage in, and are considerate of, the wider concerns of society, beyond our day to day working environment. We have a number of initiatives within the firm which promote the ethos of helping others, which not only assist the wider community but also develop the individual members of our firm and make the firm a more positive and vibrant place to work. Are mindful of the effect of our actions on the environment and have implemented policies to keep any adverse effect to a minimum. We have an active and enthusiastic committee of volunteers who promote our charitable, pro bono/ volunteering and environmental objectives which we are proud to say includes employees from across the firm including both fee earners and support staff. The committee aims to share ideas, to encourage participation in the firm's charitable endeavours and to create a general ethos of helping others. As a firm we have chosen predominantly to support two charities with whom we wish to develop a relationship through donating time, financial support and resources. We have chosen one local and one small national charity to reflect the firm's various clients and interests and to allow us to best use our expertise. We support our chosen charities with fundraising events throughout the year and we hope to develop this to include employees engaging with the charities as volunteers. Further information in relation to each charity is set out below. Individual employees also take part in their own sponsored events and support charities in their own time. Examples of charities recently supported are Disability Snowsports UK, Special Olympics GB, The Lullaby Trust, the London Legal Support Trust, Macmillan, Breast Cancer UK, The Gorilla Organization, Movember, Cancer Research, Leukaemia and Lymphoma Research, and The Uphill Ski Club. The Ellen MacArthur Cancer Trust was established by Dame Ellen MacArthur in January 2003 and works with every young people primary cancer care unit in the UK. The charity works nationally and provides young people between the ages and 8 to 24 who are in recovery from cancer, the opportunity to take part in a fantastic sailing experience. The majority of the participants, many of whom are sailing for the first time have finished treatment and are in the process of putting their lives back together. They are usually recruited via their treatment hospitals and can continue sailing with the Trust until the age of 24. When our partner, Richard Butcher, was invited to become a Trustee in 2004, he thought it would be "nice" for the young persons to go on sailing trips but he quickly realised that this was a very false assumption. Sailing is just a means of achieving the primary aim of restoring confidence by giving the young people fun. The services provided by the charity make a very real difference to the lives of those young people whose lives, education and general lifestyle have been badly affected by contracting an illness in respect of which they were entirely innocent. We provide support for the Trust through donations, as trustees and by our staff taking part in sponsored events such as the Great South Run. It is hoped that this relationship can be expanded to allow our employees to volunteer for the Trust in the future and this is being actively pursued. Our final charity for 2014 is Coram's Fields, a local charity situated at the top of Lamb's Conduit Street near Holborn. Coram's Fields is a unique playground and park which serves children and young people living in and visiting London. Coram's Fields is particularly popular with children and the families of those attending nearby Great Ormond Street Hospital and they aim to provide help and support for the more disadvantaged areas of inner London. The firm actively support employees who wish to contribute their time and expertise to charitable organisations and establishments, both through the firm and in the communities where they live. Most of our external corporate responsibility projects are sourced and maintained through the initiative of individual employees. We don't shout about it, but quietly many people fundraise, volunteer and try to improve the lives of those in need. Examples of some of the initiatives that our employees are or have been involved in are as follows. A number of our fee earners remain involved with the College of Law and BPP providing mentoring for the current students looking at embarking on a career in the law. Mentoring is often targeted towards those students from less advantaged backgrounds and provides them with both a valuable insight into the legal profession and information and support in relation to applications for training contracts and interview preparation. We encourage employees to take up positions of responsibility within the community and to take part in a whole range of charitable activities, including holding positions as trustees to charitable foundations or institutions and as school governors in their local community. Many members of the firm have given their time to provide free advice through organisations such as the Citizen's Advice Bureau, the BPP Pro Bono Family Clinic and various legal advice centres. As London, Great Britain and, indeed, the world got behind the athletes, our employees were not only getting wrapped up in the excitement of the proceedings but several were also playing their own part in making the Games a success. Whilst as a firm we were delighted to sponsor a number of Team GB's Olympic sailors we had other employees who were individually determined to get involved and are proud that PHB staff at the Games numbered two Games Makers at the Paralympics, a Ceremonies Performer at both the Opening and Closing Events, and an Olympic torchbearer. They all used their annual leave to volunteer and support the Games. Our head of Dispute Resolution, Richard Butcher, attended the Opening Ceremony and a number of events and gives his own personal experience of the Games which relives the excitement of that incredible, golden summer! Our torchbearer has gone on to be something of a local celebrity and has not only attended a number of events in her area to allow people to hold the iconic torch but was also invited to a "Sport Achievement of the Year" award ceremony. We, as a firm, are immensely proud of all those who got involved and we are pleased that some have indicated a desire to prolong their experiences by applying to volunteer at the 2014 Commonwealth Games, at the Rio 2016 Olympic Games and at other smaller projects within the UK. We wish them all the very best of luck. We recognise the importance of keeping the adverse effects of our business on the environment to a minimum. The focus of our environmental policy is to measure, manage and reduce the environmental impact of our activities and we are committed to educating and encouraging our employees to prioritise environmental issues and to consider the effects of their activities. 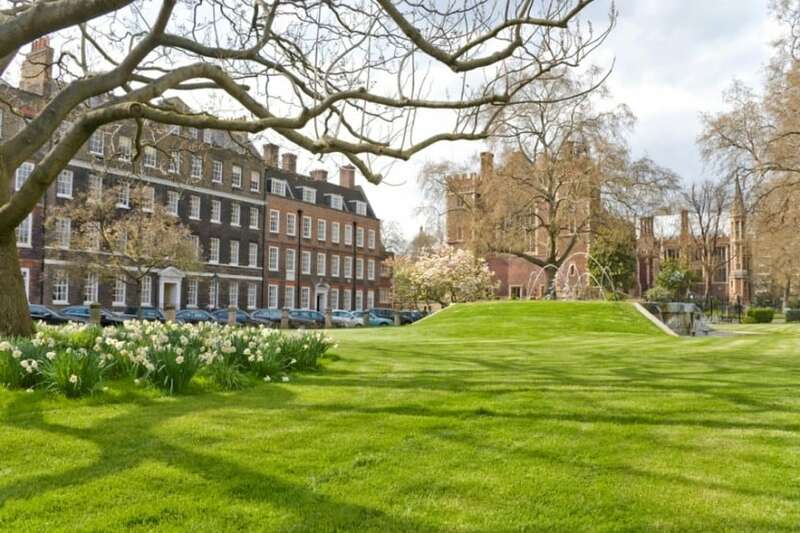 To work together with Lincoln's Inn to improve sustainability and reduce the environmental footprint of the offices and the Inn as a whole.